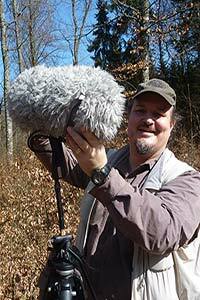 Welcome to my Nature Sound Recording Website! My name is Volker Widmann. I live in Konstanz in the south of Germany directly at Lake Constance. One of my main interests is Nature Sound Recording. Over the last few years I have made quite some recordings both here in my native Germany, especially in the Lake Constance area (which includes Switzerland and Austria) and during my vacations mainly in the US, particularily in California and Florida. The main intention of my website is to present some of my recordings and let you know about the locations they were recorded and the gear I used. I added some interesting news and links I like as well. I decided to keep this website in English as most people that I interact with are from the US (Germany being a bit of a Nature Recording wasteland). I hope you enjoy the website and I am more than happy to receive emails with your comments.